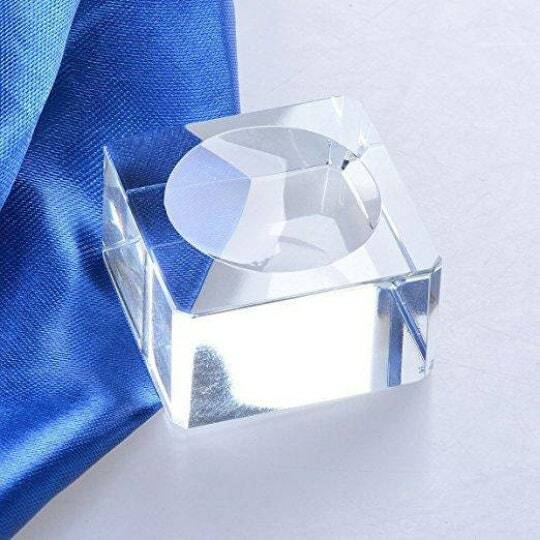 Clear Acrylic Display Ring holds crystal balls up to 75mm. 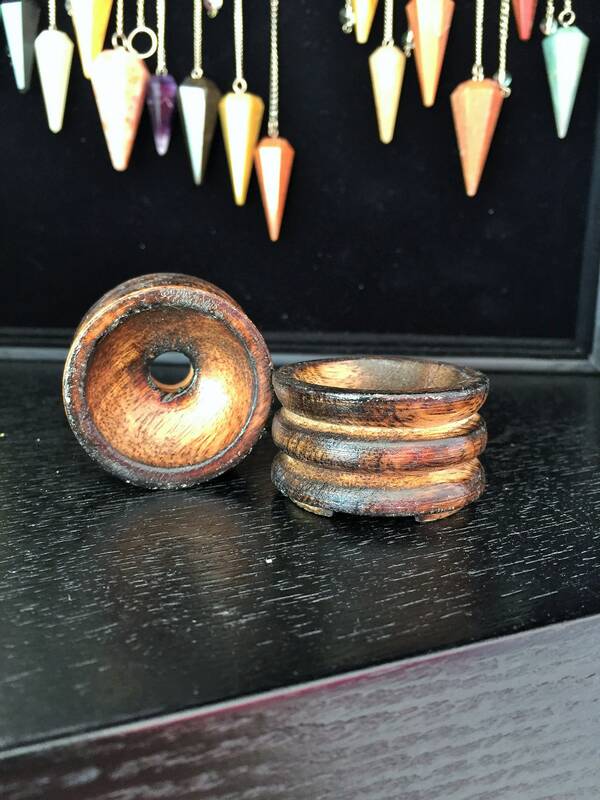 It stands 3/4 inch high with a diameter of 1.25 inch. 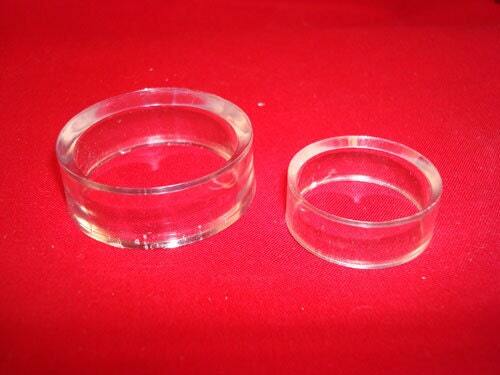 Size: Large size holds 45mm-75mm spheres. 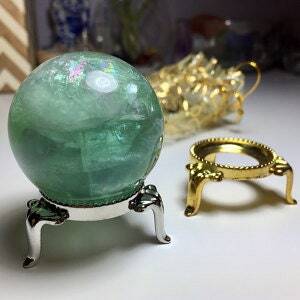 Would you like to view our collection of Crystal Balls? 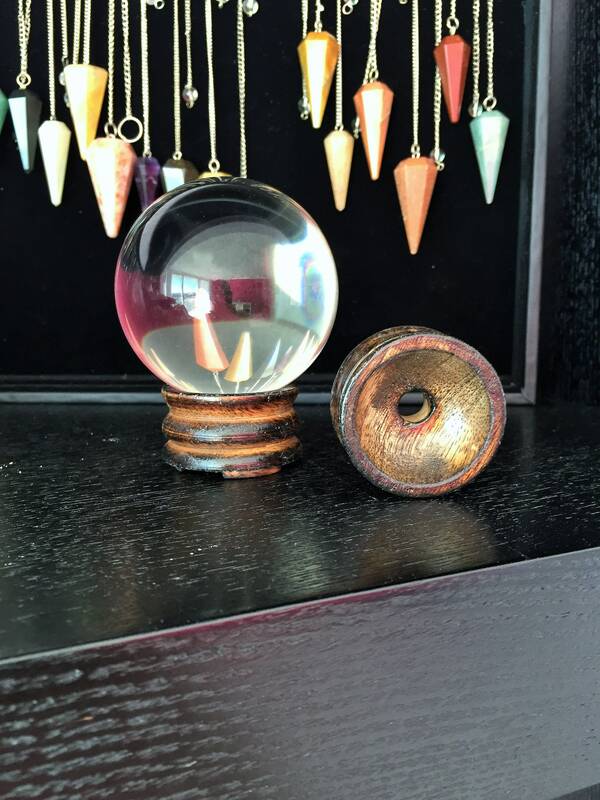 Would you like to view our collection of our Crystal Ball Stands? Before purchasing I flipped through the photos of the item. I saw there were multiple options including what appeared to be a square acrylic stand. I selected acrylic and in the notes requested the square stand. I never recieved any correspondence so I assumed message received. 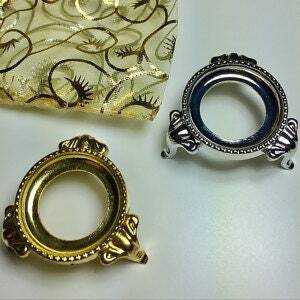 Yet when the item arrived I was given the acrylic ring stand. Maybe I was missing something but either way the photo of the square stand should be removed if it isn't an option. Item arrived quickly and and was exactly as described.